Hi Vista is an unincorporated community in northeastern Los Angeles County, California, United States. Hi Vista is sometimes confused with Lancaster because both communities use the same zip code of 93535. Hi Vista is located in the Antelope Valley, in the southwestern part of the Mojave Desert. This area is referred to as the "High Desert" due to its altitude. 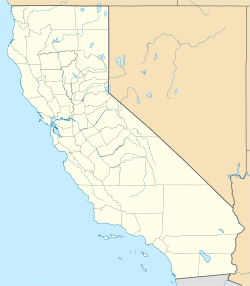 The community is surrounded by Edwards Air Force Base, 22 miles (35 km) to the north in Kern County, Adelanto, 31 miles (50 km) to the east in San Bernardino County, Lake Los Angeles, 11 miles (18 km) to the south, and Lancaster, 21 miles (34 km) to the west. Calvary Baptist Church in Hi Vista, used as a filming location for Quentin Tarantino's Kill Bill films, Vol. I & II (2003, 2004), as well as the music video for Road to Nowhere by Talking Heads. Hi Vista is home to Saddleback Butte State Park, Butte Valley Wildflower Sanctuary, Phacelia Wildlife Sanctuary, and the "Kill Bill" church. Local students now attend Eastside High School in Lancaster, instead of Littlerock, which was over 30 miles away.